Today’s blog post comes from Eric Murphy, Global Solutions Manager for the Video Systems Division. 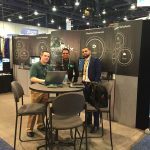 Eric recently returned from the InfoComm trade event in Las Vegas, NV. InfoComm 2016! It was another break-all-records, audio, video, unified collaboration, drones, internet of things, insert-your-preference here conference. Congratulations to InfoComm and the IMCCA for maintaining the high-quality experience for both attendees and exhibitors, not sure how they do it, but they do. The opening day of exhibits was the busiest day at a trade show I have ever experienced. It is humbling to be part of such a large event and still have people find your booth! 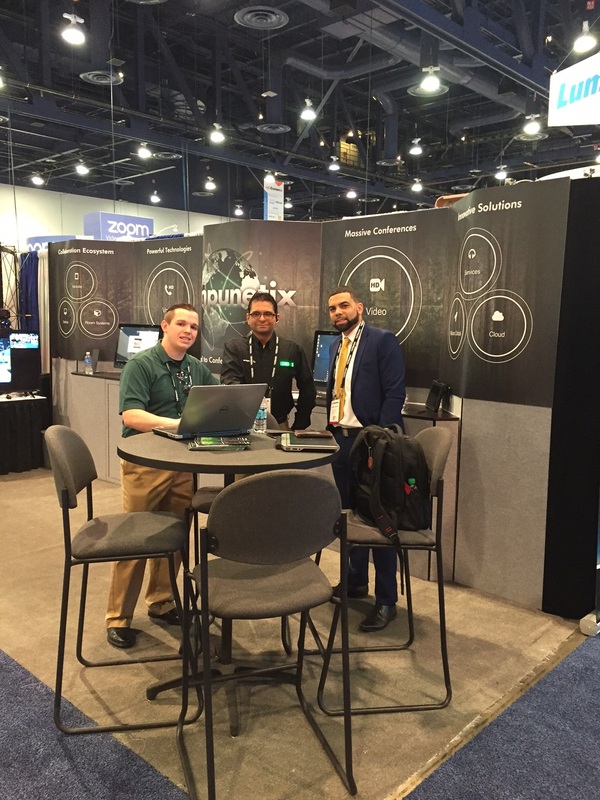 The IMCCA Unified Collaboration section has grown significantly since we started attending this show. What’s truly exciting and a tribute to the optimism of this industry is how many people stay within the industry. Like any other specialty industry, members of the community swap teams but I am impressed with how many colleagues remain focused and strong in the belief they are contributing to something special. The word of the show was CHANGE: the industry, the players, the technology, the prices, the margins, the support, the distribution, the everything. We know change is a constant in every industry but because we are still a small industry the change is magnified. Sometimes the magnification leads to more easily viewing change at the fringe that is not quite ready for prime time, but tends to intrude prematurely into a segment of the mainstream. As an elder hardware manufacturer of collaboration infrastructure, Compunetix has witnessed much change and has been able to maintain a consistent business model. 1. Relationship: We often still do business with a handshake and trust you. 2. Quality: What our customers ask for and pay for can only be achieved with the products we manufacture. 3. Return on Investment and Lifetime Support: We never obsolete a product because we manufacture all of the parts, including boards. 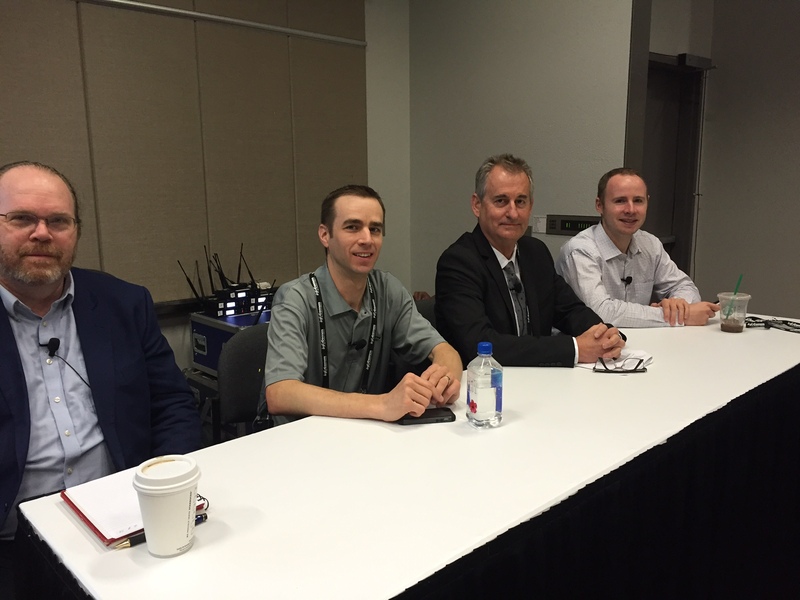 Infocomm and the IMCCA did a good job addressing these and other issues in the many panels and breakout sessions. 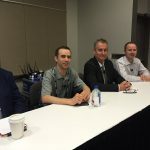 I participated in the “Building Secure Collaboration Rooms and Systems” panel which, for an 8:30 AM start on the second day of the show, was well attended. The AV and unified collaboration industry has been under the radar when it comes to security compliance. Due to some well publicized breaches and a widening of corporate policies to include our world, we are now fully exposed. Even with that awareness, eighty percent of the attendees admitted that collaboration products and services were not included in their current security policies. There is lots of work to do here, and it could be a major stumbling barrier to expanding collaboration in major organizations. Especially ones requiring medical or government compliance. The website for InfoComm 2017 is already up, I suspect it will equal or exceed 2016, so sign up now! We hope to see you there. To contact us about the array of Compunetix video solutions and partnerships, please email vsdsales@compunetix.com. For video of Compunetix at InfoComm, click here.